In an interactive presentation, each material issue is defined, and each topic is shown with the material issues that are relevant to that topic. The online Accountability Report links these material issues to the report narrative and data. Each issue is reported in full, with goals, progress and performance indicators. 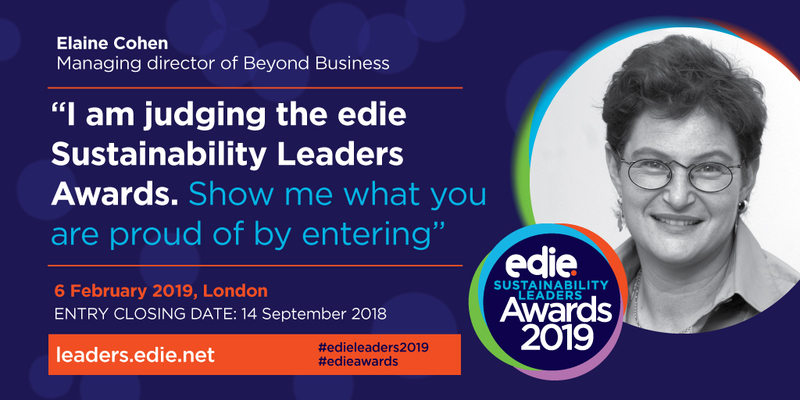 I find this to be a thorough and transparent approach to materiality which provides stakeholders with a clear picture of what's important in the MEC world of sustainability and its impact on them. In fact, this is probably the sort of stuff that G4 reports are made of. And as we mentioned G4, if you haven't managed to wade through 300 pages of technical guidance yet, you might be interested to know that Understanding G4 is now available for purchase and use. 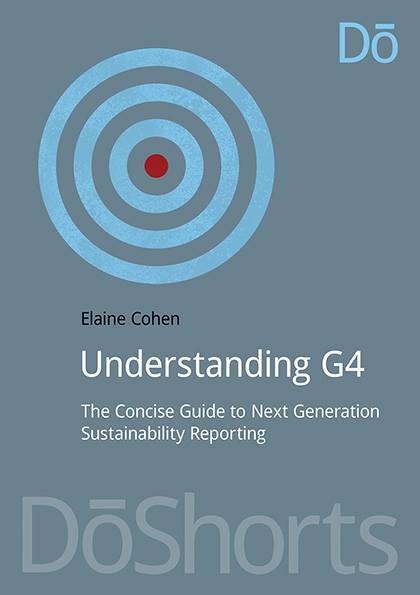 Designed to meet the needs of Chief Sustainability Officers, SME Owners/Managers, CEOs, Sustainability Consultants, Sustainability Report Writers, Sustainability Report Assurers, Academics and Students, Investors, Shareholders, Suppliers, and all Stakeholders who are interested to know how to use G4, and what they should look for in a G4 report, this book is an indispensable support tool. As I am already involved in the preparation of at two G4 reports for our clients at Beyond Business Ltd, I am already using Understanding G4 myself :). If you would like to hear more about the book content, join me in a FREEBIE webinar on Tue, Jul 30, 2013 5:00 PM - 6:00 PM BST - register here. 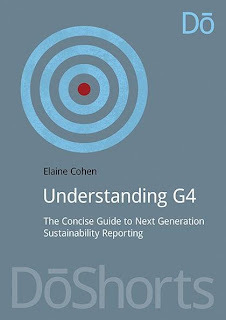 I'll be talking about what's in the book and why G4 is a transformational tool for sustainability reporting. You can also see more, and download a freebie chapter on our G4 Guru Facebook page, which is another place to raise questions, comments, experiences, feelings, frustrations, queries, requests etc all about G4, and the G4 Guru will respond as best she can. In the meantime, without having completed a full G4-Ready Analysis on the MEC Accountability Report, it seems to me that one of the core building blocks is already in place. The Novus International 2012 Sustainability Report, the fifth annual report of this billion $ privately-owned company was published recently online. Novus International, Inc. is a provider of health and nutrition solutions for livestock, poultry, pets and people, headquartered in St. Charles, Missouri, U.S.A., employing more than 800 people in over 50 countries and serving more than 3,000 customers worldwide in over 100 countries. Novus operates facilities including corporate offices, research and development laboratories and manufacturing operations, as well as smaller offices with field staff in most local markets. Working from a strong base of scientific understanding and technological innovation, Novus has brought more than 100 new products to market over the past decade, contributing consistently to sustainable animal agriculture production and global food security while growing revenues and global presence. The Novus pledge is a Triple S Bottom Line – Solutions, Service and Sustainability. I am particularly happy to blog about Novus, because (here it comes... disclosure >>>) Novus has been my client for some years now and I have been involved in developing and writing the 2012 report, as well as prior reports for 2011 and 2010. In preparation for the report, I interviewed around 50 Novus executives (including the CEO who is directly involved and passionate about Novus's sustainability journey) and many staff all over the world, and some external stakeholders, and collected data from over 10 manufacturing, offices and research sites. The thing that always impresses me each year about working with Novus is the absolute clarity that all the people in the organization have about their company's mission and purpose, and the passion with which they talk about their role in advancing the mission. When I asked Thad Simons, the President and CEO of Novus, about his major achievements as CEO over the past few years, without hesitation, he talked about creating an organizational culture that supports the sustainability mission - "building Novus with a sense of purpose and passion and a service culture". A CEO who leads a sustainable culture is a CEO who creates a sustainable business. Novus has grown year on year and makes a significant contribution to advancing sustainable food and improving food security in many ways. This approach is paying off! The highlights of the Novus 2012 Sustainability report are to be found in the approach to reporting as well as in the data and information presented. For the first time, Novus includes a description of the organization's value chain, which shows where and how Novus generates triple bottom line impacts. Also for the first time, each section of this report is presented personally by the managers and staff who lead the organization. In each section, a Novus person tells her or his story, in her or his own words. For example, the Human Resources VP and Director talk about how they are advancing this prized organizational culture, and different managers talk about their experience in nurturing partnerships to advance sustainable solutions, while EHS Managers talk about sustainable design of offices and working spaces (Novus has a LEED Platinum certified HQ which has won several awards). The insights shared by Novus people - the narrative is what they actually said, not professionally copy-written texts - are what makes up the Novus story: information and data combined with the personal contribution, leadership and drive of all the individuals. Supplementing the written narrative are several short videos, prepared specially for the report, which give you, report-users and stakeholders, a chance to see the faces behind the names and experience the passion beyond the written word. At GRI B level, GRI-checked Sustainability Report, Novus is not short on transparency either, and this report includes evidence of good performance. For example, energy consumption in production operations reduced by 5.7% in 2012, and safety performance continues to be well above industry averages with an injury rate of 0.48 per 100 employees (compared to a rate of 3.8 in all sectors in the U.S.). One of the highlights in helping prepare the report for me is the Novus employee wellness program - see insights from Judith Thelwell who manages the program. For years, Novus has been demonstrating leading practice with one of the most comprehensive and highly engaging employee wellness programs around, that offers practical benefits for employees, and financial benefits for both employees and the company. This is a vibrant program which enables employees to engage in health and fitness related activities and earn benefits for doing so, beyond the personal benefit to their own health. In my discussions, I chatted with Andy Critchell, who works in IT Systems at Novus, (read his insights, too, in the same section), and his story was very moving. Diagnosed with diabetes, Andy had to make some serious life changes. The accessibility of Novus wellness benefits helped Andy take control and actually terminate medication for his condition. Without me even having to ask, he confirmed that this actually makes him a more productive employee. This conversation brought home to me, once again, the massive impact companies have on the lives of individuals, and the force for good that companies can become. Another inspiring part of this report is the section on Valuing Partnerships. Novus works in partnership in almost every area the company is involved in. In fact, partnership development is a core competency of Novus, whether this means global partnerships to effect major transformation - such as the collaboration with the International Egg Commission (IEC) to advance the consumption of eggs as a low-cost, highly accessible source of nutrition (read Joanne Ivy's insights - she's President of the IEC), or specific local partnerships, such as a multi-stakeholder public-private partnership in Chad, to help build a $50 million industrial poultry production facility which will provide around 30 percent of the country's poultry needs and contribute substantially to food security in that country. This partnership includes the Chad government as well as a Novus customer, Globoaves, and a financing partner, working together to provide affordable, wholesome food for the Chad population and improve the quality of their lives. Read insights from Luis Azevedo about how all this came about. Partnerships are at the heart of sustainability. Companies who know how to collaborate in the true spirit of partnership are the ones that will be around for many years to come. Please take a look at the Novus report and as always, give feedback. As our new G4-Future is apparently here to stay, I am busy doing G4-Readiness analyses for clients around the world. Frankly, it's not as simple as it looks and it takes quite some time to bottom out all the fine details of what needs to be reported using G4 versus what has been reported using G3. 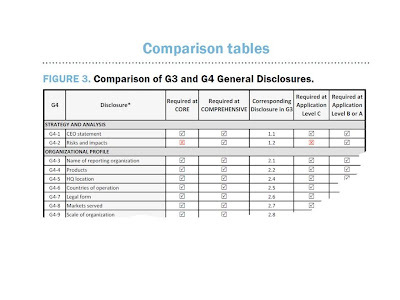 It's not as simple as comparing disclosures, because in G4 there are new disclosures that were not in G3, and some G4 disclosures have changed. It's also not as straightforward as counting up indicators, because in G4, Material Aspects determine the indicators, and not the generic framework. Similarly, G4 is about process, not just about materiality, so the entire start-point is somewhat different. WARNING: This is a rather technical post, written for those who are really interested in the detailed workings of G4, so if you find it boring, just skip to the ice cream. I thought I would share with you a sample G4 Readiness analysis. My guinea-pig is the first report on the Featured Reports page on the GRI website, which just happens to be a GRI G3 A+ level report, which we would expect to be quite comprehensive in terms of transparency. It's Alcatel-Lucent's 2012 Sustainability Report. This is a great report from a technical standpoint which covers the full range of sustainability disclosures. It's almost at G4 CORE level and reports well on issues identified as material. With the addition of general disclosures on governance and remuneration, and a few additional performance metrics, it could achieve G4 COMPREHENSIVE level. So, in terms of G4 readiness.... Alcatel-Lucent deserves a three scoop cone. With 17 material issues, and a lot of non-material information, at 241 pages, this report is very loooong. The trees obscure the forest, and it's quite hard to get to the core of Alcatel-Lucent's significant impacts. The report is technically robust, but is low on inspiration and readability. To make this report more user-friendly, Alcatel-Lucent should cut some of the extremely hi-res but irrelevant detail and focus on making the really important aspects of its sustainability program and impacts stand out, while ensuring accountable and transparent reporting on a range of materially relevant metrics. Now, to the analysis. Non-techy people switch off now. As you may already know, G4 splits into two (unequal) parts: General Standard Disclosures (GSDs) and Specific Standard Disclosures (SSD's). At CORE level, 34 GSDs are required and at COMPREHENSIVE level 58 GDSs are required. yellow means partially disclosed, and red means not disclosed. G4-1 is the CEO statement. In Alcatel's report, this statement is short, generic and not strategic. It does not include the key elements prescribed in G4. G4-10 and G4-11 are former labor indicators in G3, LA1 and LA4. G4-10 requires specific statistics about workforce composition in more detail than was required in the G3 version, and G4-11 requires the number of employees covered by collective bargaining agreements. In order to respond fully to G4-10, Alcatel-Lucent would need to include data relating to supervised workers, a breakdown of employees by employment contract (permanent or temporary) and information about seasonality. For G4-11, Alcatel would need to provide a response other than "this information is proprietary", which was how the company responded against this indicator in the 2012 report, which I found puzzling. What's proprietary about the number of employees covered by collective bargaining agreements? Usually a proprietary response would relate to something which could be legally problematic to disclose or which might seriously damage business competitiveness. Alcatel Lucent has several collective bargaining agreements in force covering employees in different countries, and obviously a large number of employees are covered by collective bargaining agreements. A non-response to this disclosure will prevent Alcatel Lucent from being "In Accordance" with G4 even at the lower CORE level. G4-12 is "describe the organization's supply chain". Alcatel-Lucent does this partially, mainly in reference to suppliers. G4-19 is "list the material aspects". Alcatel Lucent has included a list of material issues, but these are not aligned to the Material Aspects prescribed in G4. Is this a little picky? G4-26 is the former G3 4.16 and requires more detail of the way the company engages stakeholders and the frequency of this engagement. This is not exactly described in the report. Another slightly picky observation on my part, I guess. G4-27 requires "key topics and concerns that have been raised through stakeholder engagement" - I was not able to identify a specific response to this disclosure in the G3 report, although several channels of stakeholder engagement are reported as well as a list of material issues in a materiality matrix. If Alcatel-Lucent wishes to produce a G4 "In Accordance" report at CORE level, the company can probably elaborate here, and in general, meet the disclosure requirements with little additional effort. Most of the non-disclosures are new G4 requirements at COMPREHENSIVE level, relating to governance and remuneration. Some of this may already be covered in Alcatel-Lucent's financial filings but I suspect, others would require substantial additional work. Alcatel-Lucent may not be ready for COMPREHENSIVE reporting at this stage. I didn't look in too much detail at whether Material Aspects were aligned to their Boundaries inside or external to the organization (G4-20-G4-21). I assumed this was more or less clear but a rigorous analysis should examine this more deeply. Moving on now to Material Aspects and Performance Indicators. As you may have understood by now, G4 requires first a selection of Material Issues and then selection of one performance indicator per issue at CORE level and all performance indicators related to the specific issue (Aspect) at COMPREHENSIVE level. Material issues come in categories and each individual issue is called a Material Aspect. "Energy", for example, is a Material Aspect within the Environment category. G4 identifies 46 Material Aspects which are ones which are most widely relevant across all industries, and each Aspect has its own set of Performance Indicators. G4 reporters should fit their Material Issues into this framework, so that it is clear what performance indicators are required for reporting, by material issue. If the reporting company has material issues which are not covered by the Material Aspects in G4, then the company can use its own material issues. This table therefore shows that, for the Material Issues selected by Alcatel-Lucent, most can be aligned with G4 Material Aspects, and Alcatel-Lucent has provided performance data for at least one of the performance indicators per Aspect, with one exception. This means that, with the exception of Talent Development, where Alcatel-Lucent did not disclose any data, all other Material Aspects are reported. Therefore, in this section of the report, G4 CORE level "In Accordance" is within reach. In several cases, Alcatel-Lucent responded to all indicators in the Aspect, making this section of the report fairly close to G4 COMPREHENSIVE. In addition, Alcatel-Lucent defined some specific additional material topics, and reported on these in one way or another. There is one part I didn't check in detail and that's the Disclosures on Management Approach (DMAs). In Alcatel's G3 report, DMAs were included for all the GRI aspects except for biodiversity. The DMA required for each Material Aspect in G4 is more prescriptive than its former counterpart in G3. I only made a sample check of one DMA and this seemed to me to be more or less in line with the new G4-style DMA. If there are a few gaps here, I would expect it's not a major issue to complete the disclosures as required by G4. 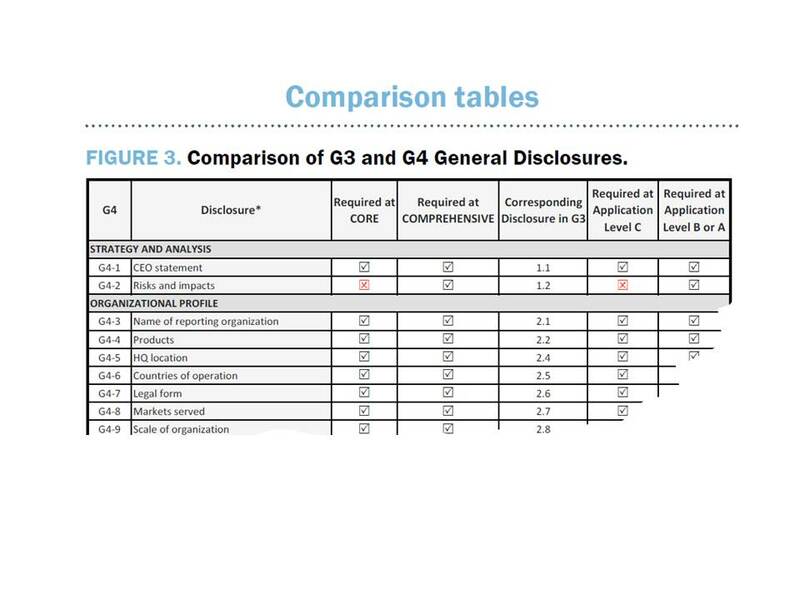 In summary, Alcatel Lucent's G3 report is very close to being "In Accordance" with G4 in terms of General Standard Disclosures, DMA and Specific Standard Disclosures. It is not a million miles away from being "In Accordance" at COMPREHENSIVE level, though some stretch could be required. One thing that Alcatel apparently has in its favor is some good work the company has already done on materiality. The materiality process is key to G4 and Alcatel reports that the Materiality Matrix was developed in a process involving over 50 executives and external customers. There may be room for a more robust materiality process, involving external voices from other stakeholder groups, but in general, I believe Alcatel-Lucent's 2012 approach demonstrates the right spirit required for G4. (1) GRI G3 A+ reporters may be well on their way to G4 reports, either at CORE or at COMPREHENSIVE levels. (2) Even for A+ reporters, G4 still requires some change and additional effort. Would Alcatel-Lucent's G4 Report be any shorter? Yes, I believe it certainly would be much shorter at G4 CORE level, and somewhat shorter at G4 COMPREHENSIVE level, unless the company intentionally includes additional elements that meet other reporting framework requirements (such as the UN Global Compact, for example, where Human Rights is a core principle, but not stated as material for Alcatel Lucent). This is the delicate balance that companies must address when considering how to report with G4. I hope this was helpful as an insight into how to analyze G3 reports in a G4 way. In a future post, I'll take a look at a lighter-weight report. Will our conclusions be any different? Stay tuned.